Finally Weighing in on the Jeffress-Romney Thing…. The Washington Post opinion piece by Robert Jeffress in Friday’s Wichita Eagle (“A candidate’s faith should matter to voters”) got me thinking. Jeffress was defending the political legitimacy of some negative comments he’d made recently about Mitt Romney’s Mormon faith, in which he labeled Mormonism a “cult” and suggested that mainstream Christians are to be preferred by voters over supposed cult members. Those sorts of comments–and the debates over their proper place in electoral politics–aren’t at all new; I heard them all throughout 2007 and 2008, when Romney ran for president the first time. And there is, I agree, some legitimacy to them. But since I share Romney’s religion, and since Romney appears likely at this point to win the Republican presidential nomination, and since that means my many non-Mormon Republican friends and neighbors here in Wichita are probably going to be faced with the prospect of voting for a Mormon for president in a year’s time, I figured it might be worth responding to him just a bit. 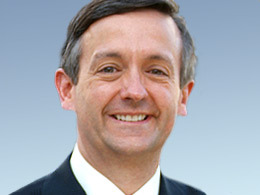 Jeffress’s essay implies–among other things–that in making those negative comments he was enacting an important democratic principle: namely, that citizens are free to take whatever issue they wish, including concerns about a candidate’s religious faith, to be relevant as they decide who to vote for. I agree that is an important point–but draping himself in that principle shouldn‘t protect his comments from criticism, in particular because he is misleadingly making himself out to some kind of constitutional martyr while doing so. To be sure, there are many people who are confused or ignorant about what the Constitution says and does not say about religion. (The simple answer is: it says almost nothing.) This ignorance and confusion occasionally leads to nervousness when people like Jeffress, or anyone else for that matter, starts suggesting connections between a candidate’s faith and their vote-worthiness. And admittedly, sometimes this confusion or ignorance is strategically cultivated; after all, if you work for or are committed to a candidate, like Romney, who belongs to a small and somewhat unpopular religious faith, you might want people to be nervous about and thus hopefully to turn against critics like Jeffress. And there are also, of course, many committed liberals or principled secularists who do honestly and completely reject the idea that a candidate’s religious faith ought to be discussed as part of the debate over whether or not they deserve a voter’s support. (I’ve tangled with one of them, my friend Damon Linker, several times before.) But for the majority of my fellow Mormons–who tend to be, in America at least, generally rather conservative, values-centric voters, people who are mostly at peace with making judgments about a candidate’s moral character part of their decision-making process–the complaint with Jeffress is not the fact that he is saying what he is saying, but rather that what he says about Mormonism is misleading, and thus benefits from the aforementioned constitutional confusion. Jeffress has absolutely no basis (really, none at all) to affirm that there is anything un-Christian, in this civil sense, about Romney’s Mormonism. Now an argument could be made that Mormonism presents a certain kind of challenge to our civil religion, and some scholars have in fact advanced that argument, but doing so requires one to dig deep into matters of political theology and the nature of our liberal democracy. But in any case, that is plainly not what Jeffress is doing. Instead, he is making a broad civil claim, but one grounded solely upon pretty narrow issues of sectarian Christian theology: Mormons are a non-Christian cult because of their distinct understanding of the Trinity, because of their particular religious ordinances and practices, because of their notions of the Judgment and the afterlife, etc. There are, no doubt, some tiny number of Republican voters who are likely to think it important that their elected representatives have an orthodox, mainstream Christian notion of God, or else their prayers will not be answered. Now if Jeffress wanted to influence those voters, he could make use of that kind of theological language. However, he surely also knows that the number of such voters is utterly marginal: on the contrary, the values which the huge majority of Republican voters are likely to care about are those basic Christian principles–the Ten Commandments, the Sermon on the Mount, the sovereignty of God–identical with America’s civil religion. And so he must speak a civil language, calling Mormonism “non-Christian” in the broadest possible terms. It is perfectly legitimate for him to do so. But it is also, in the context in which he speaks, wildly misleading. Can someone legitimately speak out against a candidate for sectarian theological reasons? Or course they can. Citizens may legitimately be motivated by all sorts of reasons. But just because an act of reasoning is acceptable doesn‘t mean it is responsible or wise (or likely to gain much popular support). In 2008 there were apparently a small number of people–not many, but a few–who voted against Barack Obama because they didn’t want an African-American as president. That is, to put it plainly, allowed. Yet of course, voting against a candidate for reasons of race has been broadly accepted as stupid and wicked. Now voting against a candidate because of sectarian theological disagreements may be a bit more complicated an idea than that of opposing them due to their race, if only because religion is still somewhat relevant to our culture and government in a way which race (thankfully!) increasingly isn‘t. But still, the general point holds. Several generations ago, Catholic beliefs were considered outside of America’s civil religion; as a result “papists” were marginalized in American political life. In time, this came to be recognized as what everyone–especially most values-motivated conservative Republicans!–now knows it to have been: a theological disagreement between Christians which pushed a misleading, stupid, even wicked judgment upon voters. Whether in this election or in the next, the same thing, I think, will ultimately be recognized about Mormonism. Jeffress has every right to press his theological case, but when he dresses himself up as one doing his civil duty, he ought to be called on it. When he says a candidate’s faith should matter to voters, he’s right, but when he claims (without ever explaining how) that Mormonism’s particular Christian theology has all sorts of civil implications, he’s simply wrong (or at the very least, really stretching things). Maybe Jeffress would like American elections to be more openly sectarian, with Catholic and Mormon and Protestant and Jewish political parties competing with one another? He wouldn’t be out of bounds saying so; he could easily advance the argument that only an orthodox, mainstream Christian candidate, with theologically correct ideas about God, can effectively create an alternative to the “moralistic therapeutic deism” which some see as sapping the strength of our culture. Of course, he obviously realizes that he’d be speaking to nearly empty halls if he did that, and so he doesn’t say so; he doesn’t present his sectarianism honestly, but cloaks his words in the Christian rhetoric of America’s civil religion. He ought to be called out for doing so, for implying something otherwise than what he says, and relying upon our religiously open-ended constitution to do his work for him. Excellent. Thank you for saying so well what needed to be said. Russell, excellent job. I hope it extends the discussion and people consider the deeper merits of your post. I am a cultist out to destroy the Constitution and I am a Mormon. Yet, somehow, I can’t quite believe myself. Perhaps you should do a video or at least a profile at Mormon.org! I think it would definitely expand the types of people we have there by quite a bit. Does that make you un-Christian for saying that? (and me un-Christian for saying that?) Reminds me of the last 30 seconds of this clip. I’m very impressed at the way Russell gets to the simple reality of why these conversations rub so many Mormons the wrong way. I really really don’t care whether I’m allowed to be, and would hope I’m not perceived to be, part of Jeffress’s Jesus Fan Club. I totally disagree with his premise on civil grounds, free from the insecurity of asking for his religious approval. I have my own religion, thank you very much. Just don’t try and discourage my kids from participation in the public sphere. Russel, so you are stating that Mormonism is Christian in a Boy Scouts of America kind of way? I’m sure you’re right, bbell. He clearly loves the publicity and isn’t exactly subtle in his self-promotion. He’s very media-savvy. Gotta admire his ability to land a friendly gig on Bill Maher so quickly after triggering the whole controversy. Great response, Russell. Think there will be a third round, as readers write in responding to your piece?